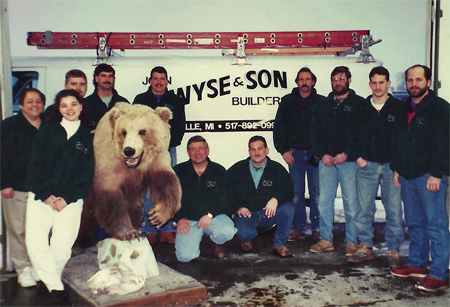 DeWyse Construction began in the spring of 1997, as John or Zeak as he is affectionately called, made the plunge from the Bay City area and relocated to the beautiful Upper Peninsula. It has been a wonderful change and we have been blessed with 21 years of new friends and customers! Zeak has always been in the construction business as his father has been a General Contractor (John DeWyse and Son Builders) for many years in the Bay City Area, and Zeak has served in some capacity in the company until his relocation to Michigan's beautiful Upper Peninsula. Zeak and Debbie have 5 children. Derick, 23, a senior at Saginaw Valley is active in hockey and weight lifting, Desirae is a senior at Central Michigan University is majoring in elementary education. 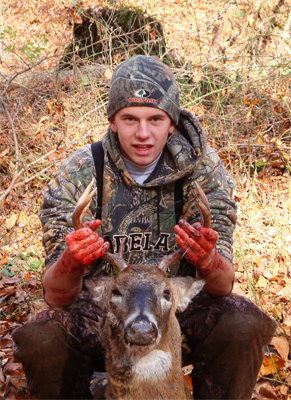 David is pursuing a business degree at Northwood’s College in Midland and is active in hunting and basketball. Devon is just starting his schooling at Delta College in Saginaw. Drake is at home and active in basketball, soccer and hunting. Zeak and Debbie are also involved in a variety of activities. Zeak is the Junior Eagle football coach at Engadine High School and is also a volunteer soccer coach in the summer months. Debbie was the Engadine Sports Boosters treasurer for many years and currently serves on the Engadine Consolidated Schools Education Foundation board of directors. Both are active members of Rexton Mennonite Church. Sponsored by DeWyse Construction of Engadine Michigan! held every year on the 4th of July. The Black Bear Run was the brainchild of the Engadine sports Boosters. The course begins in Engadine and ends in Naubinway. 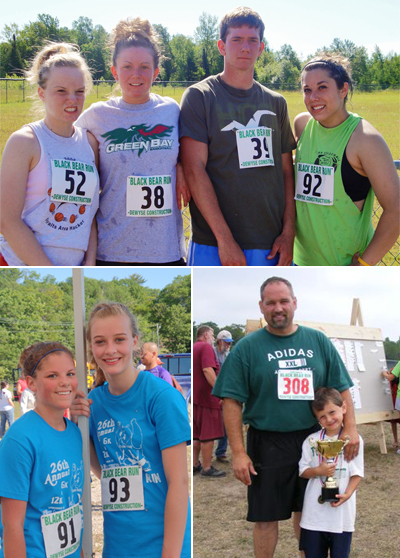 The Black Bear Run, sponsored by DeWyse Construction, happens every year on the 4th of July. It is a 6 or 12K run or walk starting in Engadine and ending in Naubinway. Last year we had over 300 participants ranging in age from 4-82. 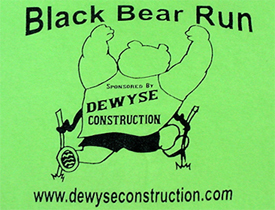 DeWyse Construction is proud to be a sponsor of The Black Bear Run. All monies raised from this event go to the Engadine Sports Boosters to help Engadine High School athletes. Monte Simmons has recently moved to the area, and we’re thankful! 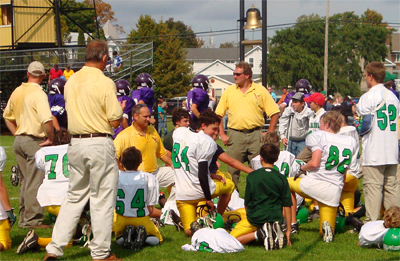 He began working on the construction crew in the summer of 2005. 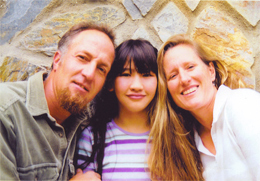 He lives in Engadine with his wife, Lisa and daughter Oyuna Gabbard. 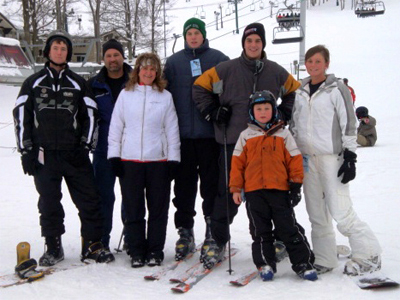 Monte’s passion includes sled dog racing and was one of his reasons for moving to the Upper Peninsula. Whatever the reason we’re glad! His wife Lisa is a nurse working in the area and Oyuna is headed off to college. Our communication and organization skills will ensure that the process of creating your project will be as pleasing as the final product whether you are on-site every day or working with us from a distance. Our customers have lived in the state of Arizona, Florida, Indiana and California and more. Through digital photography and the internet, our customers have been involved and witnessed the step by step progress of their project. If you're ready to talk to someone about making your project happen call us at: 906-477-7377 and ask for Zeak, owner and project manager at DeWyse Construction, Inc. You can also use our "Request Information" page.